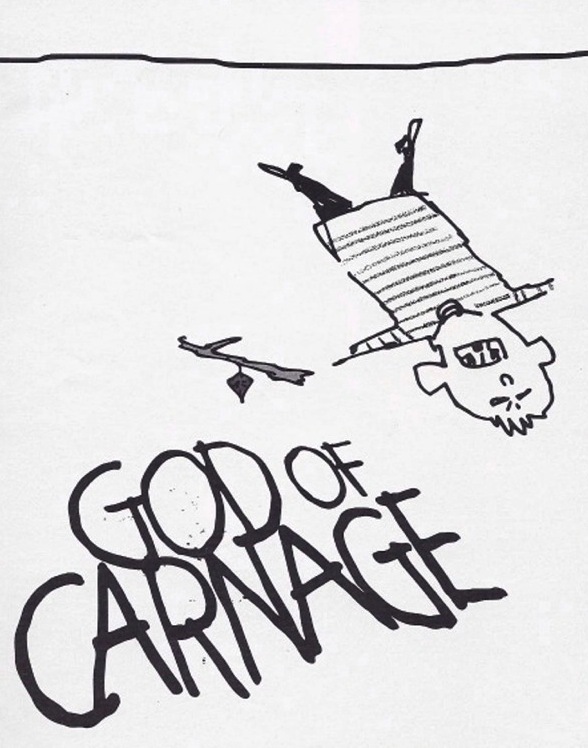 God of Carnage (originally Le Dieu du carnage) is a play by Yasmina Reza, translated by Christopher Hampton. It is about two pairs of parents, one of whose child has hurt the other at a public park, who meet to discuss the matter in a civilized manner. However, as the evening goes on, the parents become increasingly childish, resulting in the evening devolving into chaos. The play was a success in its original language, French, and has been equally acclaimed in its other English-translated productions in both London and New York. "GOD OF CARNAGE is presented by special arrangement with Dramatists Play Service, Inc., New York."